It looks like Syfy is going to put its own spin on Robert Charles Wilson’s Hugo Award-winning novel Spin by spinning it into a miniseries—or, rather, spiniseries. The adaptation is being written by Fight Club screenwriter—and Jumper screenwriter, to be fair—Jim Uhls, who will turn the book, which is the first in a trilogy, into a six-hour miniseries. Spin is about a scientist named Tyler Dupree who is trying to save the world from a mysterious black membrane that has surrounded the planet and cut it off from the rest of the solar system. The membrane also blocks the earth from satellite communications and, somehow, speeds up time for everything inside it. Because of this, the sun will die faster than it otherwise would, so the people on Earth are a bit screwed. Or are they? You’ll probably have to watch the spiniseries to find out. Or read the book, we guess. This news comes after Syfy has renewed its efforts to actually put science fiction stuff on its network again, with Spin joining Five Ghosts, Childhood’s End, the non-union Syfy-equivalent of Escape From New York, Hunters, Krypton, Incorporated, and—because we’re legally barred from writing about Syfy without mentioning it—Sharknado 3. 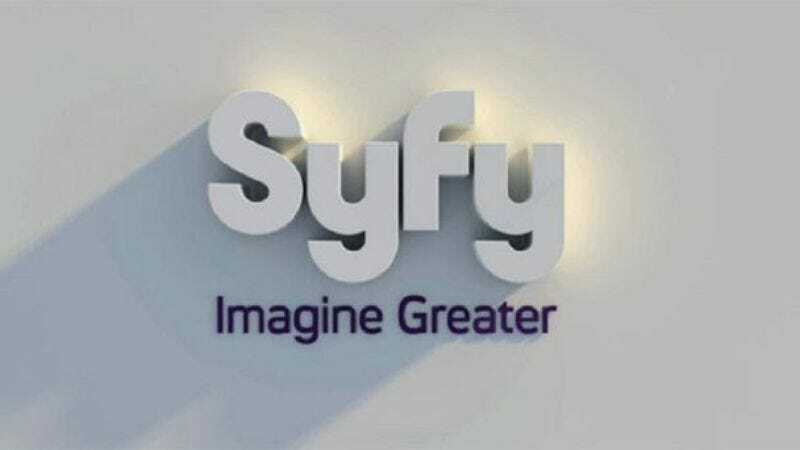 As fans of TV network branding will recall, Syfy became Syfy back in 2009, when it changed its name to avoid direct associations with the science fiction genre. Given all the stuff we linked to earlier in this paragraph, it’s apparently not worried about that anymore.